December | 2011 | Life in a fast, furious, fugacious lane! What ails fourth estate today? Rightly described as “fourth estate”, press plays a catalytic role in our society, as is evident from Thomas Jefferson’s observation “Where it left to me to decide between govt without newspapers or newspapers without govt, would not hesitate a bit to prefer the latter”. A free and independent press is a custodian of public interest. That’s what Joseph Pulitzer worked throughout his life for. But the story is entirely different today. “Mainstream” press has contributed a great deal to the demsie of the lofty ideals of this pillar of democracy. The newspaper press is arguably a great power, but just as unchained torrent of water submerges the whole of countryside and devastates crops, likewise an uncontrolled pen serves, but to destroy. Press is traditionally hailed as the watchdog of society, which reminds all in public life about their accountability to society. But what of press itself? Press seeks to set everybody’s house in order, except of course its own. Seldom has it looked back to take stock of its own proceedings. It may not be hyperbole to note here that press has vested interest in chaos. In this cut-throat scenario, it has traversed all frontiers to magnetize maximum audiences. It emphasizes ‘exceptional’ rather than ‘representative’, ‘sensational’ rather than ‘significant’. It pins its faith in Northcliffe formula that power, position, money and sleaze is what sells, and that virtue, hard work, humility are to be thrown to winds. This largely explains why MS Dhoni’s trimming of hair, Rakhi Sawant-Mika’s smooch saga, and Lalu Yadav’s nth daughter’s wedding ceremony hits front page headlines, while those not-so-intriguing news stories about suicide of farmers down South, flood and famine in other places, human rights violations in disturbed areas like Kashmir and North east, or that poor mason’s son topping IIT exams barely makes it even to index spaces. Christopher Thomas of “The Times” points out that this penchant for sensationalism is just one of the rudimentary principles of journalism per se. He says “Journalism of 21st century involves rummaging around in other people’s closets to smell their duty socks. Stronger the smell, better the story. Sometimes roses make a good story but dung is what sells”. Most issues of utmost social significance lie below the surface of what are conventionally regarded as “reportable incidents”. But as Indira Gandhi was never tired of pointing out “Meek may one day inherit the earth but never make it to headlines”. For a long time, society has looked upon press not merely as a mirror, but a mirror that inspires the reader, the mirror that reflects the reality, no matter how austere it may be. But, is press culpable of misleading the readers? The sad answer is ‘yes’. This is not the subject you would read much about, because fourth estate is not given much to introspection. Today, news has been reduced to a business, a competitive business. Missionary gusto of journalists has been bulldozed by the money fixation of news organizations. It encourages exaggeration for the sake of sensationalism, and often indulges in “yellow journalism”, the catch word of our era of sting operations. With consistently soaring competition in corporate sector following the opening up of markets, press has become a battleground of political and corporate warfare. It serves as a kind of leverage for vested interests via selective use of information to embarrass political and business arch rivals. En way, it forsakes its traditional role as “watchdog of society”, to becoming the lap dog of power mongering and influence peddling politicos and biz honchos. It also raises some prickly questions between reporting and exploiting the news. Many observers believe that manipulative market forces have put a check on the investigative zeal of journalists in combating corruption and venal politics. They ask with a deep sense of anguish, how long was it that a country’s newspaper broke a major news story by its own efforts and investigation. Take for instance, investigative pieces like Shourie’s Kuo Oil deal, Ashwini Sarin’s Kamala, Thalidomide tragedy, Kim Philby spy scandal, Bhagalpur blinding incident et al. The rise of species called “spin doctors”, who play all tricks in book to manipulate media on behalf of political and business organizations has made press settle down to the comfort of being part of an establishment elite. The inevitable fallout of it is that image of press as guardian of society is being replaced by that of ‘opportunists’ out there to make quick bucks in troubled times. There is also plenty of verification pointing to the double standards exhibited by press today. They would preach the annihilation of superstitious and dogmatic beliefs and on other hand, carry Bejan Daruwalla’s astrological predictions on subjects ranging from Ganguly’s chances of leading India again, to possibility of Salman Khan tying nuptial knot anytime in future. Press vacillates little in exposing the ruthless public officials receiving preferential treatment from govt in the garb of utilities like land, flats, et al, but seldom does it run a story giving names of editors and reporters who have been beneficiary of similar privileges. The truth of matter is that press is easily corrupted, freebies, free lunches, various subsidies are commonplace in this “noble profession” today. Govt of India adopts “carrot and stick” approach, where carrot can include anything from subsidizing housing in press colonies, a govt-sponsored trip, seat on important govt committee, even an ambassador’s posting. So who would needlessly wish to antagonize govt. Journalists today brazenly tailor media ethics to suit their ends. They tend to overlook that there is no text sans context, that they need diction with friction, prudence with jurisprudence to write what is actually right. Apart from Govt, it’s the market forces that have constrained print media to toe its line. It has somehow managed to shift the balance from editorial room to Marketing room. Today, it’s the news-copy that must assimilate with more important ad-copy. It is especially true of small budget newspapers, which bank solely on ad revenues to survive and sustain. Journalism needs to switch back to its customary role to being the watch dog of society, agent of social and political development, stimulus to socio-economic change, a forum of public debate, agent of mass communication and political socialization, and above all custodian of fundamental rights of citizens. It needs to draw a clear line between news and views. “Facts are sacred” said editor of Manchester Guardian C.P Scott “but comments if free”. It needs to imbibe a never ending search for truth, be able to meet demands of changing times, and perform services of some significance to mankind. “Write like you talk” is the phrase gaining much currency in contemporary journalism, and we need to follow the suit. The challenge today is to reconnect with people, go back to trenches, and rediscover the basic fundas. Put reader ahead of anyone else (read: advertisers), replace sensationalism with professionalism and objectivity. No exaggeration just for the sake of it. As great editor of Sunday Times, voted as “Editor of century” Sir Harold Evans said about print media, “It needs to be solvent, relevant, sane, honest and interesting”, everything else comes secondary. I have always been fascinated by the world of Art. But never got the opportunity to attend any grand event to experience the thrill up close with art works of my favorite artists. My wish was afterall granted recently when I got an invite to attend an art exhibition in capital’s Lodhi Estate. It was Shiva Art Gallery’s inaugural exhibition, and unarguably they started off on high note. Showcasing wide range of contemporary Indian art works by some eminent names like S H Raza, Anjolie Ela Menon, F N Souza, Laxma Goud, Jatin Das etc; the show was a rocking hit, with art lovers thronging the venue in hordes. Upbeat over the awesome response, organizers Varun and Vinod Khandelwal noted that the works form a part of the national heritage and as such ought to be shared with larger public. Visitors, including me who flocked to the Shiva Gallery in Allaince Francaise were visibly thrilled. Being treated to the exquisite feast of splendid art works of highest standards, art buffs, in the end, were left craving for more. The art works showcased in the exhibition depicted myriad sub-cultures existing in our multi-ethnic society. They also gave insight into how an ancient civilization ticks. Some works articulated India’s age-old, tranquil profile which remains unscathed by fast transforming socio-economic ethos. In some works, abstract images seemed to be interacting amiably with their glorious culture. Unarguably, these artists still live that culture, as their works reflect the piquant bonding between the two. In these works, as in most such art works, womankind remains the focal point of universe. Cosmos revolves around them. Every artist has an inimitable, characteristic style, and these works reflected same. Angolie Menon’s oil on canvas painting was a cynosure of eyes. As usual, women remain his centre of attention. Veteran artist S H Raza’s water color on paper was exquisite. With Raza, we are treated to the theatre of universe itself. F N Souza’s chemical alteration on paper, though tad eyebrow-raising, had a telling effect. Jatin Das’s conte on paper presented a female figure of fine delicacy, personifying feminine beauty. S Harshvardhan tags along same lines, showing female in their coyness or in a kind of reposeful states recalling the memories of old. Manjit Bawa’s soft pastel on paper showed an imposing lion, symbolizing power and might. Arpana Caur’s oil on canvas was a beauty, showing high-minded states, as did the work of Shobha Broota. In the works of Ramachandran and Shanti Dave, women are again the centre-point of attention. Vinita Das and Jeram Patel showed the spirit of two extremes into compelling synthesis. Laxman Pie’s acrylic on canvas revived the musical feel of India’s past culture with his concentration on point. Biswanath Mukherjee’s wash on paper stares straight into the face. Some works depicted objects of civilization like houses or streets while some compositions were scented with flora- symbol of love and fragrance. It was an absolute treat. Getting art works by such reputed names exhibited under one roof is indeed a marvelous effort. For a die-hard fan of Raza, Anjoile and Das, the show was extra special for me. Such exhibitions indeed give fillip to the morale of up and coming artists and inspire them to put brush on canvas and give shape to the abstract ideas spinning in their heads. Overall, the artworks stimulated the art viewing public to highest possible terrain of sensitivity, and needless to say it left a lasting impression on me. With December 25 around the corner, the spirit of joy and cheer is gripping the city. Gift-giving, music, exchange of greeting cards, church mass celebrations, special meal, display of various decorations like Christmas trees, lights, garlands, nativity scenes — all that and much more is Christmas. There are also some intriguing myths attached to it. For Jessie Chopra, 12, of South Extension II, Christmas stands for Father Christmas, better known as Santa Claus—a jolly, bearded, mythological figure who has done most justice to red, is associated with bringing gifts for children. In addition to this day being important for the attendance of church services, there are numerous other devotions and popular traditions special to the occasion. Prior to Christmas, the Orthodox Church practices the Nativity Fast in anticipation of the birth of Jesus. “We observe fast for 25 days before Christmas, and it is a huge carnival when we break the fast on 25,” shares Reverend MC Paulose, Chairman, Saint Paul School SDA and a senior bishop at a nearby church. In South Delhi, the Church youth group goes to every house in evenings, sing carols and collect donations. “It starts on 13 Dec and goes on till 23 Dec, and this time we expect to collect around 2-3 lakhs, which would be pumped into charity activities of church,” informs Father. “We sing Malayalam, Hindi and English carols and donations are voluntarily contributed by people, it’s basically a means to spread the message of Christ,” says Basil Paulose, the prominent member of Church’s youth group. Other group members, Shimil Bedi and Ajay Chakoo second him. SDA church boosts of around 600 members, drafted from areas like SDA, Green Park, Hauz Khas, South Extension, Defence Colony, Gautam Nagar et al. A religious service plays an important part in the recognition of the season. And Christmas, along with Easter, is the period of highest annual church attendance, says father. For children, Christmas is about Santa Claus, gifts, musical carols, cakes, decorations and scrumptious meals. For elders, it means religious service, mass celebrations, distributing food among poor. “It has many aspects, and the central theme is the message of Christ,” says Father Rev Prabhakar Mehlan, of Green Park (Diocese) Free Church of North. John Paul, 35, a textile businessman from Hauz Khas looks forward to this festival for family reunions. “My family is scattered all across the country, I am here while my brothers are in Kerala and Mumbai respectively. Christmas brings all of us together,” says Paul. The exchange of gifts is a general feature of the season. Samuel Kaul, a 7 year old from Safdarjung Enclave has huge collection of Christmas gifts that he has collected over the years. “I get gifts from my family and school friends every Christmas, and I also present them gifts on my part. It is so much fun,” he says. Though he rues the fact that Santa Claus doesn’t come to his house. For many, a special Christmas family meal is an important part of the celebration. “We prepare mouth-watering south Indian cuisines at home. Everyone gets together for the yummy feast,” says Father Paulose. The distribution of sweets and chocolates has become popular and sweeter Christmas delicacies like cake, rum fruitcake et al are also in vogue now. The festival of Christmas has been largely associated with the seasonal exchange of gifts between family and friends. But Basil Paulose believes there is more to it than just gifts and cakes. “Somewhere in the jumble of cakes, lights and gifts, the real essence of Christmas is lost. Christ’s message in bulldozed by the rhetoric about Santa Claus, Christmas tree, gifts et al,” says this St Stephen student. Father Mehlan seconds him. “It’s a indeed a matter of grave importance. The rituals and other festive formalities have overshadowed the actual message of Christ,” he rues. A number of figures of both Christian and mythical origin have been associated with Christmas and the giving of gifts. Among these is Father Christmas, also known as Santa Claus — a jolly, well-bred, bearded man who typified the spirit of good cheer at Christmas. But Father Paulose maintains that it’s just a myth. “It’s just a fairy tale, western fables. A way to divert the focus from the real Christmas message, that of peace, love and justice.” But Father Mehlan says there used to be someone in history who would give away gifts to children. Christmas is typically the largest annual economic stimulus for many nations. Sales increase dramatically in almost all retail areas and shops introduce new products as people purchase gifts, decorations, and supplies. “It has become a business enterprise for many,” rues father Paulose. There are many programs scheduled in this area in connection with Christmas. The major functions will be organised at Free Church (Diocese) Green Park and Orthodox Church SDA. At Free Church (Diocese), there will be a carol service at evening, followed by holy comm On Christmas Eve (December 24). On Christmas, there will be Holy Comm (Hindi), followed by Holy Comm (Eng). Baptism will be arranged for members’ children on Christmas Day immediately after the English service. There will be a session on the theme: “The birth of the saviour who is the word made in flesh,” on 25. Before that on 20th, during English service, Choir of Green Park Free Church will present Christmas Cantata, “Nativity of Christ”, composed by Caleb Simper. At Orthodox Church SDA, there will be a service, a huge religious get-together on 25 evening, in which around 2000 people are expected to come. Before that there will be main service on 24th night followed by mass on 25th evening. Saint Paul School in SDA will also organise a function on morning of December 22, where school children will participate and perform. It will be followed by lunch. Besides these, there will be small gatherings at many places to celebrate Christmas. December is a month of indulging, splurging, merrymaking and pampering yourself to hilt. With cold winds sweeping across the city and season of festivities kicking off, it is again the time of year to freeze some moments and drown in celebratory festive fervor. Christmas, the most joyous occasion at the year end, is here again. The old Santa Claus is gearing up for some fun-time with children, familiar carols are buzzing in churches, glitzy malls and markets are being decked up with glittery Christmas trees, and restaurants in city are ready with assortment of special Christmas deals and offers. Head to any upmarket restaurant at this time of the year and you will see a sumptuous spread of Christmas delicacies that a foodie in you can hardly resist. In the run-up to Christmas, almost all the high-end restaurants in town register a sudden upsurge in sales. People like to go out with families and friends and enjoy nice brunch at good eateries. There are already advance bookings, beelines of customers and a palpable excitement in air. “Footfalls at this time of the year increase considerably, and it has lot to do with Christmas fever. Four years back when I celebrated my first Christmas in India, the festivities weren’tt as grand as they are now. It is becoming more with each year.” says Lalita De Goederen, Owner of Bagel’s Cafe. Much to the delight of revelers, most of these cafes and restaurants come up with special packages and menus to woo foodies. There are a whole variety of things to keep you interested. An exquisite buffet menu, premium cocktails, and live music playing in the background to set the mood for the evening. The revelers are not just locals but even the foreign tourists, who come for Christmas holidays step in to enjoy the brunch. There are gala dinners, lavish brunches and heart-warming gift hampers on offer everywhere. Among the best places to visit this Christmas include The Living Room Café, Hauz Khas (special Christmas dinner on December 24 and 25), Oasis at the Claridges (exclusive Santa menu featuring traditional Christmas dishes with unlimited wine), Brown Sahib Saket (exclusive Christmas brunch all through the month), Golfworx at Ambience Mall Gurgaon (special Christmas buffer dinner on December 24), Drift at the Epicentre Gurgaon (exclusive Christmas buffet on December 24 and Christmas brunch on December 25). “Christmas is one such occasion in the year when you don’t mind a pinch in your pocket, and you are more than willing to splurge, eat and indulge,” says Greater Kailash based software professional Kavita Rani, who is planning a brunch with her family at Living Room Café, HKV or Brown Sahib Saket. AUMA, a new dining destination at DLF Emporia, is kicking off the celebrations on Christmas eve with some exquisite Mediterranean offerings like Marinated roast corn feed chicken for non-vegeterians and Phildelphia chilli cheesecake for vegetarians, with premium wines and champagne. “Christmas has always been a grand family festival. People want to have fun and enjoy nice food, and that is what we kept in mind while planning the celebrations at AUMA,” says Pawan Sharma, General Manager AUMA. Shiro, the pan-Asian fine dining restaurant at Hotel Samrat, is offering a four-course spread, the special Christmas pudding and turkey with ginger sauce to brive alive the spirit of Christmas. The special brunch menu designed by executive chef Rahul Hajarnavis offers variety of options for both vegetrerians and non-vegeterians. While Blanco, Khan Market, is ringing in the Christmas spirit with special crafted Christmas alacarte menu for the Christmas evening, Ignis, Cannaught Place is offering the best of twisty Punjabi dishes with flavours of Rome. Amritsari fish with chips, Chicken souulaki with citrus, mashroom peas pulao are some of the special Christmas offerings at Ignis. “Apart from the grand decorations and lighting, there are live Christmas carols being sung. Ignis also brings forth an interesting menu choice in both Indian and western cuisines,” says Manav Sharma, Manager Ignis. Royal China, Nehru Place, is introducing new menu on Christmas, unlimited buffet that includes sweet and sour chicken, kung pao potato with okra, sautéed freen and black mushroom dessert mud cake etc. 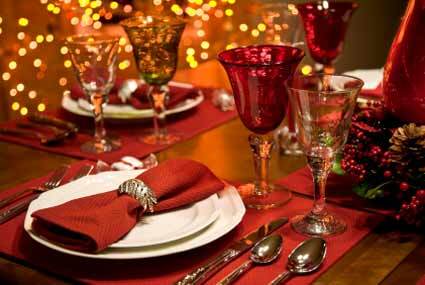 Buzz in Saket is also coming out with a special Christmas course and desserts. Zaffarani Zaika, a Mughlai eatery in Chanakyapuri is offering a special buffet, available from Christmas eve till January 4. The buffet comprises of array of delicacies like Zaffarani Malai Kebab, Mutton Seekh Kebab, Mushroom Dum ka Murg and signature Zaffarani Pulao. “The entire Christmas week sees a tremendous increase in footfalls, so there is always a competition between eateries to attract customers. 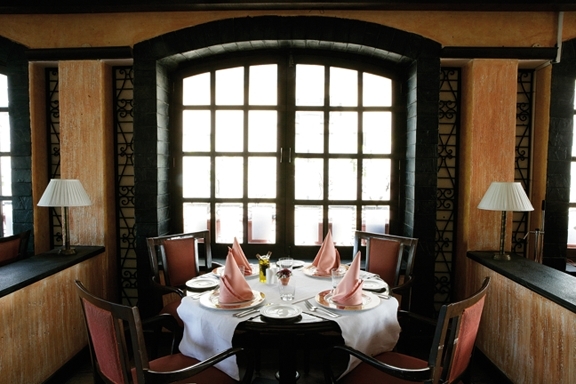 We are offering dishes at reasonable rate with a complimentary glass of wine,” says Rupam Paul, Manager, Zaffaran Zaika. Besides high-end restaurants, Bars and Pubs are also sinking in the festive fever. F Bar & Lounge is celebrating ‘Glowey White Christmas’ on December 24 night, with illusionary world of Santa, body-painted Santa dancers, w wonderland of sound, light and storytelling visual art blended with customised theme based freestyle dancers and performance art. “Like every year, we are celebrating Christmas with great fanfare. The bar will transform into a unique world of Santa, with festive aura written all over it,” says Deepali Narula, Manager F Bar and Lounge. Fio-County & Kitchen Bar will be celebrating ‘White Christmas Eve’, with theme décor around White Christmas, roast Turkey, Christmas pudding, mulled wines, Pan Indian and Pan Italian spread and music by DJ Rahul. Harem, Garden of Five Senses, is presenting Christmas lunch comprising of glazed turkeys and mulled wine. “It is our way of celebrating life. We have a special menu for the occasion with live band and a different decor to usher in the festival season,” says Sammer Gogia, Director, Harem. Chocolate makers and cake makers are also wooing the customers. Celeste Chocolates is presenting a range of chocolate patterns including sugar free and diet chocolates, named Edible Santa, Choco Bells, and X-mas Trees, which come with ornately decorated packaged and goodies for an excellent gift for Christmas. Tivoli Garden Hotel Chattarpur has come up with an exclusive range of classic Christmas cakes of retro era from Scotland, Ireland and Phillipines. “We are organizing Christmas celebrations in a creative way, as it definitely adds value to hotel’s reputation and encourages more business and footfall to the hotel,” says Farid Khan, Manager, Tivoli Garden Hotel. Bagel Café, the casual dining restaurant in Defence Colony is offering deliciously hand-made, all wrapped Christmas goodies with different flavors. “The best part about Christmas is the spirit of sharing, and I’ve been baking special Christmas goodies for a long time now,” says Goederen. Not to be left behind, coffee outlets are also in festive mood this time around. Costa Coffee has introduced a new winter menu, Merry Costa, a wide range of indulgent beverages and desserts. “Costa being a UK brand has a rich tradition of Christmas celebrations. Both our interesting line up of products in winters as well as the general spirit of festivities does lead to an increase in sales,” says Santhosh Unni, CEO, Costa Coffee. A long time ago, when culture of kabab stalls was yet to pick up, there was Aap Ki Khatir. This quaint little place in Nizamuddin has turned from a small kebab corner to a full-fledged restaurant now. The eatery is modest and food is decent. 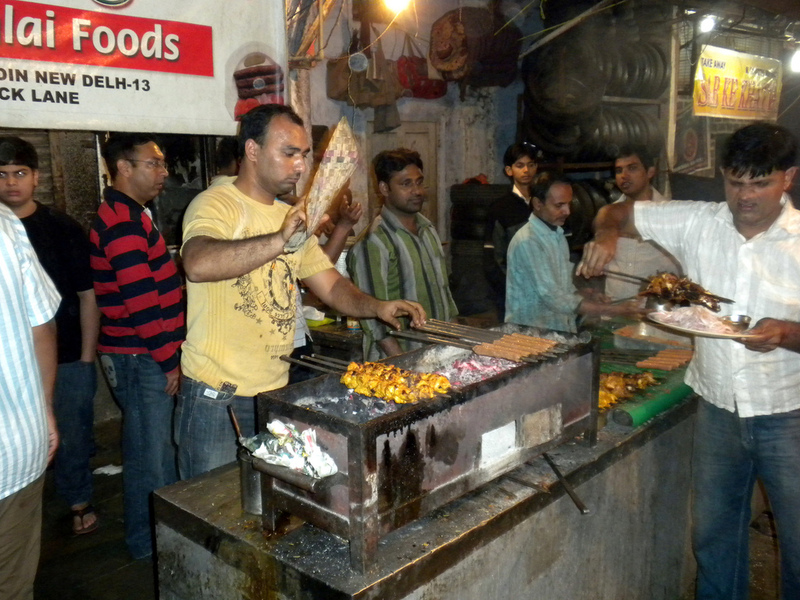 Try Kakori Kebabs, Mutto Burras and Mutton Tikkas here. Its Kakori Kebabs served with Green Chutney and the mandatory rings of onion melt in mouth. Their menu is not extravagant. Daal Makhni and Paneer Tikka are nice. The aroma is too tempting, and the spices keep your tongue tingling with the taste of cinnamon and cloves. Try Kakori Kabab rolled in Sweet Parantha, a great combination as the sour meat mingles with the Sweet parantha taste. Kakori Kabab in Rumali Roti leaves great taste in mouth. Follow it with Mutton Kathi Roll, the sweet parantha roll, containing big juicy charred pieces of mutton marinated and grilled for hours. End it all with a Mutton Biryani served with Tari (local word for gravy). Aap ki Khatir is a value for your money, though the location is not ideal enough to attract high-heeled, white-collar customers. She is a multi-faceted personality, with remarkable track record in various fields of endeavour. A top-notch fitness model, critically acclaimed actor, popular anchor, trained dancer, choreographer and a great humanitarian. Reema Sarin is a familiar name in social circles, not just for her work in front of the camera but also for her work behind the camera, in slums, and on the streets. Sarin does a lot of work in the corporate social responsibility domain (CSR) with many organizations working for children and girls like Samarpan, Rai Foundation etc. She is the head of AppLabs Charitable Trust (ACT), the philanthropic wing of AppLabs, spearheading all the ACT activities with a support of over 300 volunteers, and with a focus on education, health, social welfare and many charitable programs. Reema acts as a facilitator for a majority of the programs. “I got involved in social work in lieu of being an actor, model and dancer. I actually started teaching BOLLYFIT and Bollywood dancing to a lot of kids in orphanages and then I got deeply involved in a lot of CSR activities,” says Sarin. She is closely involved in working with Rakshana Deepam, a home for over 40 men, women and children, all HIV patients. Reema and the ACT team regularly distribute books, medicines, clothes shoes and toys and above all spend some valuable time interacting with them. Sarin spends time interacting with the children and also does occasional book reading for them. “I have experienced a lot of satisfaction in teaching these kids as it brings a lot of joy to them. I experience a lot of happiness and satisfaction while working with people who are not as fortunate as us,” says Sarin. In an effort to create consciousness and awareness about HIV/AIDS and the importance of fighting it, she along with her team reaches out to its employees globally, through initiatives such as organizing poster campaigns, publishing articles in the monthly employee newsletter and sending out news alerts on the subject. As part of their health initiative, Sarin also works with Nirmal Hriday, an NGO run by the Mother Teresa Charitable Trust which supports old age homes in many Indian states, and provides shelter to over 300 destitute patients suffering from HIV and tuberculosis. She has been instrumental in organsing quarterly blood donation camps ACT conducts in collaboration with Chiranjeevi Charitable Trust (CCT). To promote civic and social welfare, she has initiated the ‘Traffic Awareness’ program in collaboration with Government of India, wherein AppLabs employees regularly distribute traffic regulation flyers in all the major traffic crossings in many parts of country. The other side to her personality is glamorous and hippy. Having passed out from The National School of Drama, The New York Film Academy, Berkeley Repertory School of theatre and San Francisco Acting Academy, she is a trained actor. She played the main lead in the short feature film ‘The Sentence’, directed by Abhishek Joshi, which was shown in the Cannes Film Festival, May 2011. She has also played cameo roles in Balaji Productions ‘Kahani Ghar Ghar Ki’; ‘Kyunki Saas Bhi Kabhi Bahu Thi’ etc. “I didn’t quite get the right break in Bollywood and I was never interested in doing B grade roles,” says she. Not till long ago, eating out experience was a bipolar world. At one end of spectrum were high-end five star restaurants, at other end were pedestrian, utilitarian dhabas. Then a bunch of gourmet entrepreneurs hit the block and changed the order of things. It was no more Indian or Mughlai on their carte du jour, but Italian, Thai, Chinese, French – everything caught their frenzy. And it clicked big time. A first-of-its-kind Italian food outlet in Vasant Vihar, Sartoria is the place for everyone, from masses to high-heeled. A perfect place to experiment with exquisite, eclectic delicacies from Italy. A narrow flight of stairs leads to a dimly lit dining area. A spacious hall opulently adorned to give it a goodie feel. Reverberating in the background is a soothing, soft music. It’s time to get down to business. The starters lift you up. The crisp and thin Pizzas are just irresistible. The buffalo mozzarella is chewy. The desserts and pastas are amazing, especially the tiramisu. The incredible variety of cuisines from the region of Emilia in Italy, the area between the Po Valley and northern Tuscany, has inspired legends. Emilia contributes to the World cuisine best of Pasta, Aceto Balsamico (the only officially recognized and renowned Balsamic Vinegar), dairy produce and fine meats. Romagna, the mountainous country with the Adriatic coast to the east, offers aromatic herbs, tangy jams and fish from the coast, such as Parma Ham bologna mortadella, the best Lasagna, delicious tortellini, braised meats and the list goes on endlessly. At Sartoria, you can relish all of that and much more. Rajeev Bajaj, Group Gen Manager, thinks it’s the coziness of place and authentic food which draws people to Sartoria. “In terms of popularity, Italian food is next only to Indian food and perhaps that pulls the foodies to Sartoria,” says Bajaj, who manages other restaurants and bars like Kylin in Vasant Vihar and Ivy at New friends Colony, besides Sartoria. Sartoria proves that disposable incomes, extensive foreign travels and exposure to myriad lifestyles have resulted in a willingness to experiment with all things new, including food. And this hunger for cuisines other than mundane Chicken tikka, butter naan, and biryani means that exquisite food recipes from foreign shores is for big boom.